SolarCooler Keeps Drinks Cool With Sun Power | OhGizmo! Can something hot be used to cool other objects down? You don’t have to think too hard before answering “yes.” That’s precisely what the SolarCooler does. 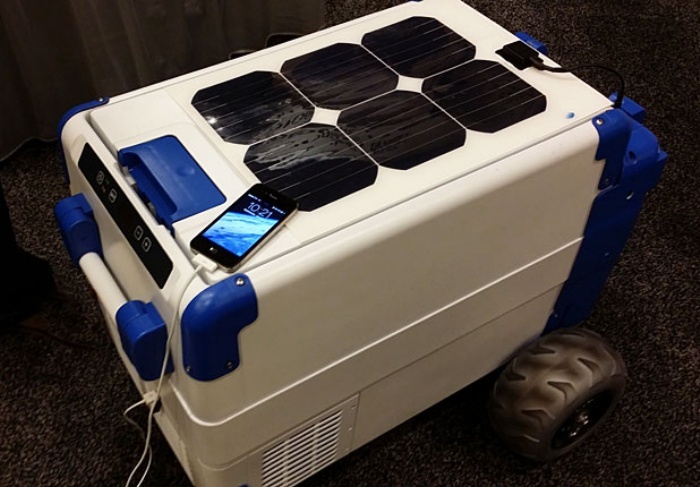 It’s a portable cooler of sorts that’s powered by solar energy. It has solar panels covering its surface to harness the power of the sun, which is used to cool down the contents of the cooler. The applications of the SolarCooler go beyond keeping those six-packs of beer cool for your road trip. It can potentially be used to transport vaccines in areas of the world where they are needed. In fact, the team behind the cooler plan to sponsor a pilot run of Vaccine SolarCoolers in Africa. You can find more information on SolarCooler’s Indiegogo campaign page. How many beers will it hold?